JetBlue to give away Sumfest packages - Having been named exclusive airline partner for Reggae Sumfest 2018, JetBlue said it will be working with Reggae Sumfest and the Jamaica Tourist Board to give away hotel and air ticket-inclusive packages for two lucky winners to come to the festival from the United States. Additionally, plans are in place for a joint promotion locally to give away tickets to the festival. 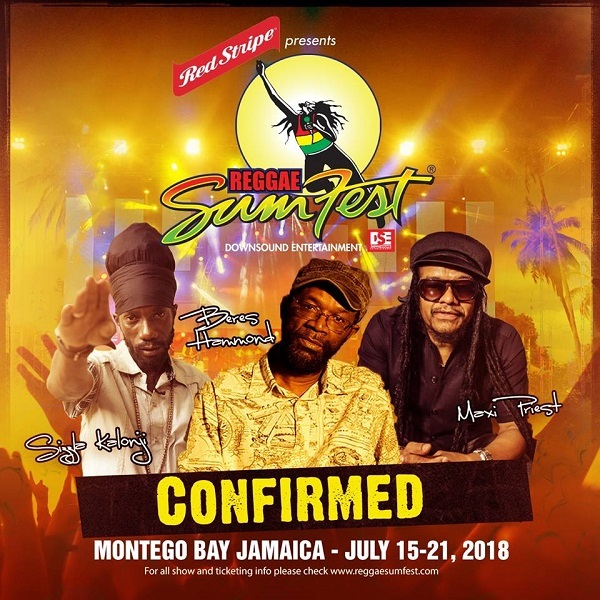 "As the official airline partner of Reggae Sumfest, we are thrilled to be a part of this extraordinary event that promotes Jamaican culture and brings people together through their love of music. Reggae Sumfest is a great opportunity to showcase Jamaica as the relevant destination that it is while also benefiting its tourism industry and local economy," said Giselle Cortes, director of international airports at JetBlue. Joe Bogdanovich, DownSound Entertainment CEO, who acquired the Sumfest Brand in 2016, said the fact that JetBlue recognises the value of the Reggae Sumfest brand demonstrates its growth in influence and importance. "Jamaican music, since the 1960s, with the emergence of icons such as Bob Marley, Toots Hibbert, and Jimmy Cliff, has not only captured the imagination of numerous people across the globe, but has been integral to the mushrooming of Brand Jamaica. Reggae Sumfest is, perhaps, the most influential vehicle to leverage and sustain Brand Jamaica and further promote the island and its music," Bogdanovich said.